Funky Nation: Soul, Funk and Jazz, the only way to start your Saturday night out (or in). 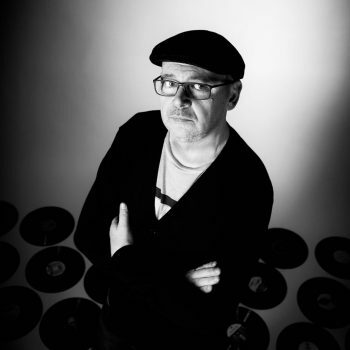 A DJ since the age of fourteen, Mike’s love of all things Jazz, Funk and Soul began in the early ’80s when he moved to Magalluf to work at Tokio Joes. The lure of playing records in the sunshine and all the trappings that went with it was too tempting an opportunity for an 18-year-old to turn down so he left his native North Wales and his emersion into music began in earnest. Mike Vitti’s radio career began in 1987 hosting the first ever dance show on Lancashire’s Red Rose Radio (now Rock FM), and since then he has presented programmes on Saturdays non-stop, playing a Funky mix of House, Jazz, Funk, Soul and Boogie. Following a very successful five year stint as the programme director at Jazz FM where he curated the Funky Sensation brand to include a Saturday night radio show, live events at London’s prestigious Ronnie Scott’s and a series of hugely popular CDs, Mike left to develop the brand further and joined Gordon Mac at London’s Mi-Soul Radio, where the now Funky Nation is even bigger, better and funkier. The club night at Ronnie Scott’s (which has just celebrated its 9th anniversary) is even stronger and more popular than ever, and you can witness that for yourselves every Saturday night. Mike has met and had the chance to interview some of the biggest names in music including George Benson where his interview was aired just before the George Benson live stream on YouTube and Facebook from Ronnie Scott’s to more than 300,000 viewers on July 4th 2017. He’s also interviewed: Nile Rodgers, Lionel Richie, George Duke, Anita Baker, Mary J. Blige, Bootsy Collins, Gregory Porter, Will Downing, Snoop Dogg, Jeffery Osborne, Teddy Riley, Jody Watley, Howard Hewett, Jean Carn, Usher, Frankie Beverly, Warren G, Randy Muller from Brass Construction, Roy Ayers, the late Bobby Womack, Isaac Hayes, the sadly departed Teena Marie and countless others too many to mention. The one that got away though was Luther Vandross. Mike is an in-demand DJ, and promoter his events across London and the UK are hugely successful and can be seen regularly at Funky Nation at Upstairs Ronnie Scott’s, in Ibiza and Europe across the summer months, at the Mi-Soul club nights in Brighton, the Ministry of Sound and beyond. The Luxury Soul Weekenders in Blackpool, the Margate Soul Festival, major festivals and on numerous Thames boat parties. You can only hear Mike Vitti’s Funky Nation Saturdays from 5 pm till 7 pm on Mi-Soul Radio.